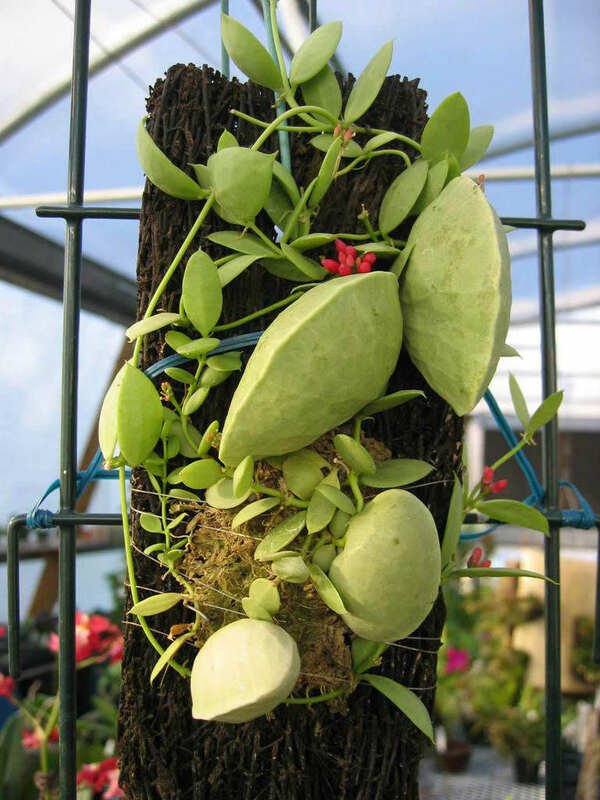 Dischidia vidalii is a very odd and interesting epiphytic climber. 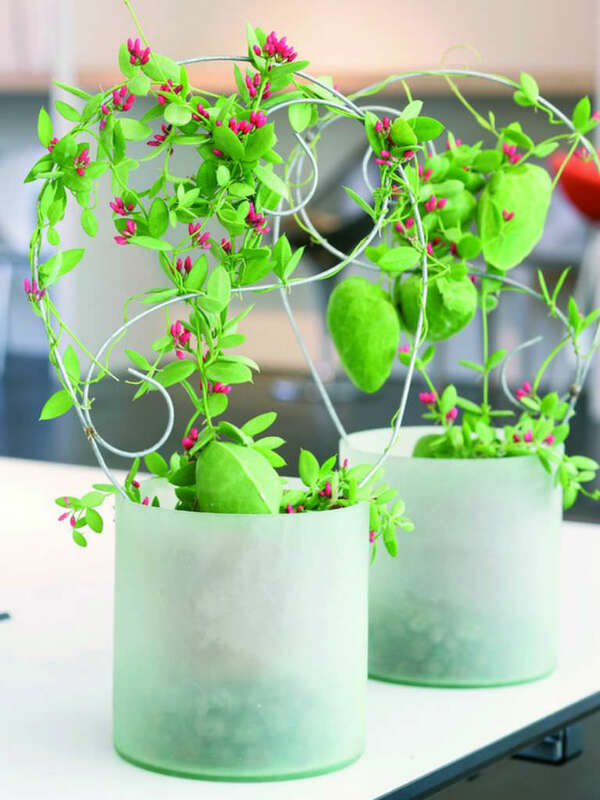 The leaves are small, thick, fleshy, oval-shaped and light green. 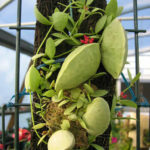 There are also modified leaves which form a purse-like pouch filled with roots. Bright red to magenta flowers are arranged in clusters known as umbels. The flowers occur in the leaf axils (the space above where the leaf is attached to the stem). 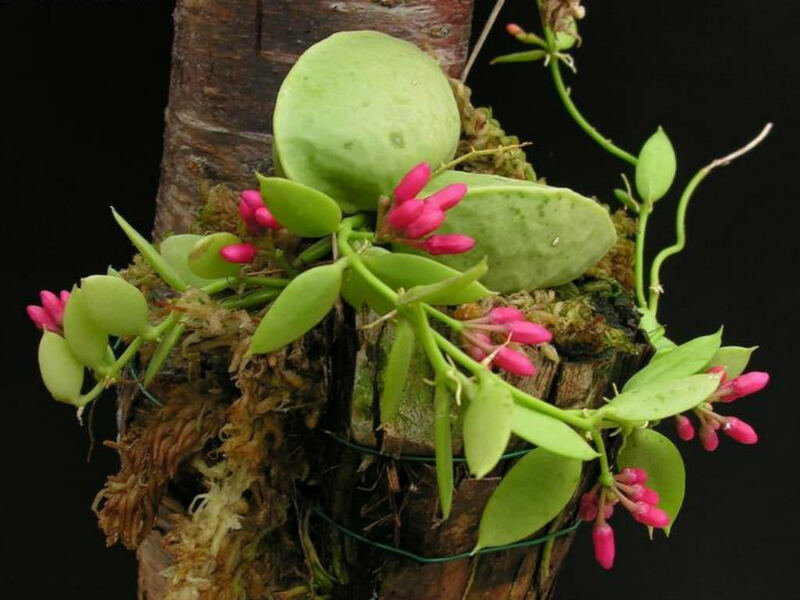 Dischidia vidalii has a symbiotic relationship with ants. 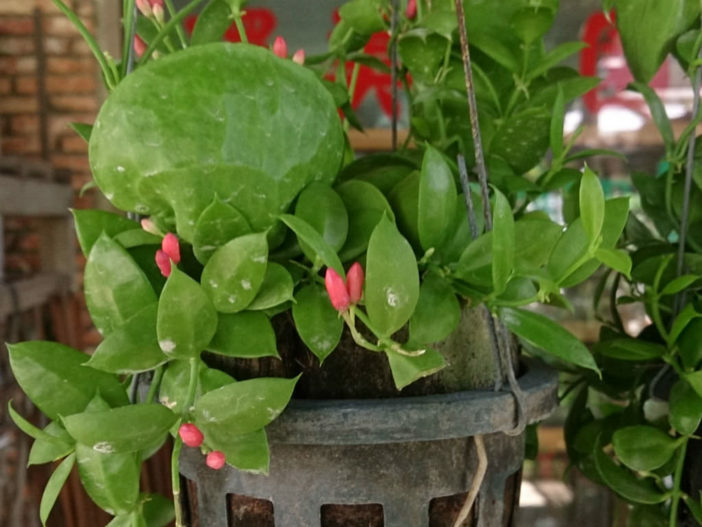 The plant’s modified leaves provide shelter for ants, while the ants help to guard the plant from pests and also fertilize the plant with their waste products. Allow the soil to dry out before you water the plant. They are used to getting moisture only from dew and the air, and cannot tolerate boggy media. When the bark medium is dry to the touch, submerge the container in water until air bubbles are gone. Dischidia also needs high humidity. 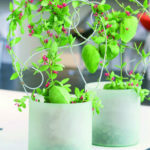 Mist the plant every day or place the container on a saucer filled with pebbles and water. The water will evaporate and moisten the air while the pebbles will hold the sensitive roots out of the water. 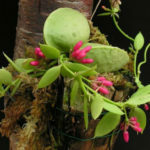 Dischidia vidalii is native to the Philippines.